VTB Capital announces that Jim Rogers has joined VTB Capital’s Agriculture division, part of the Global Private Equity department, as an advisor. In his new position he will provide regular advice and insights into global commodity markets and investment trends. 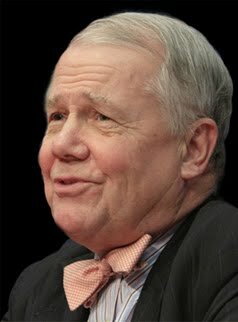 Jim Rogers, commodities investment expert and successful international investor himself, after attending Yale and Oxford University, co-founded the Quantum Fund, a global-investment partnership, with George Soros. During the next 10 years, the portfolio gained 4200%, while the S&P rose less than 50%. Continuing to manage his own portfolio, Mr Rogers kept busy serving as a professor of finance at the Columbia University Graduate School of Business. Mr Rogers developed the Rogers International Commodity Indiсes in the late 1990s. and is the Chairman of Rogers Holdings and Beeland Interests, Inc.
VTB Capital Private Equity is active in commodity investments. Recently it has launched an investment platform to capitalize on opportunities in the growing agriculture market. VTB Capital sees high potential in Russian agricultural market and plans to attract from $500mn to $1bn of the investments into the sector based on its phased development strategy. Russia and the broader CIS region is developing into a global agriculture superpower with its proximity to China, Middle East and North Africa resulting in it taking a leading role in the export of key agricultural commodities such as wheat, barley, corn and sunflower oil. With global food demand requiring an additional 70% of total production by 2050 the region is set to play a significant role in meeting a substantial portion of this demand and surpass the USA as the world’s largest wheat exporter by 2020.